The difference in height of SNSD member Jessica Jung and Lee Dong Wook has become a discussion topic. In the photo, Jessica and Lee Dong Wook are standing next to each other, and Jessica who is wearing flowery dress and red knitted sweater is looking passionately at Lee Dong Wook. The difference of their height has caught attention. 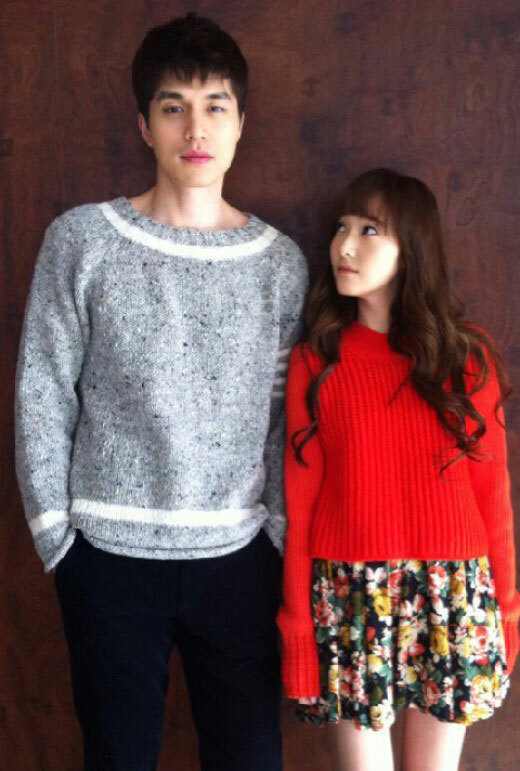 According to official record, Jessica is 163cm tall while Lee Dong Wook is 184cm, making the height difference of 21cm. Netizens commented, “Jessica is so beautiful,” “Miss Jessica beside brother Lee Dong wook looks so small,” “Jessica is so cute,” “Please don’t date each other,” “They look good together, making me envy,” and so on. Jessica is starring in KBS2TV’s Wild Romance, playing the role of Kang Jong Hee, the ex-girlfriend of Park Moo Yul (Lee Dong Wook).